6-12 inches. That’s about how much snow is on the ground in the DMV area. There’s a lot of things I don’t have time for when it’s snowing outside… and one of them is worrying about what to eat. Hence why I pulled out the good ole sheet pan and threw some things on it and began roasting at 400 degrees. What I came out with is chicken sausage, broccoli, and potatoes. I also don’t have time to be shoveling my car out of the snow but I’ll have to deal with that later. 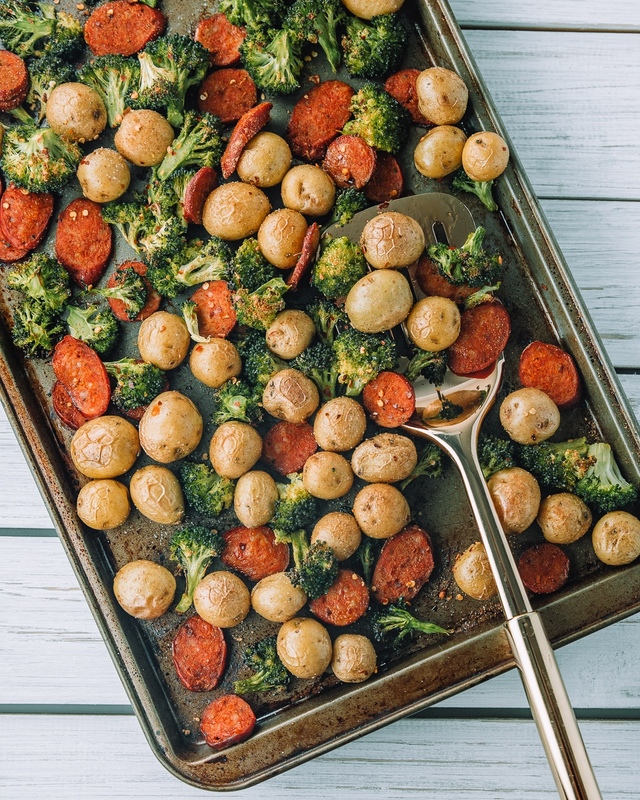 How To Make Chicken Sausage, Broccoli, & Potato Sheet Pan For Your Next Meal. Sheet pan meals go down on the list of one of the easiest things to make. What takes the most time IMO is the prep. Start by slicing your sausage, rinsing and cutting your broccoli into small florets, and cutting your potatoes into small 1inch pieces (if using whole potatoes). Add broccoli and potatoes to large bowl. Drizzle olive oil, salt, pepper, red pepper flakes over the sausage and broccoli. Combine and add to sheet pan (leave out the chicken sausage). Space everything out evenly to allow for better roasting. Cook at 400 degrees for about 10 minutes. Add the chicken sausage to the pan and continue to cook for an additional 10 minutes. 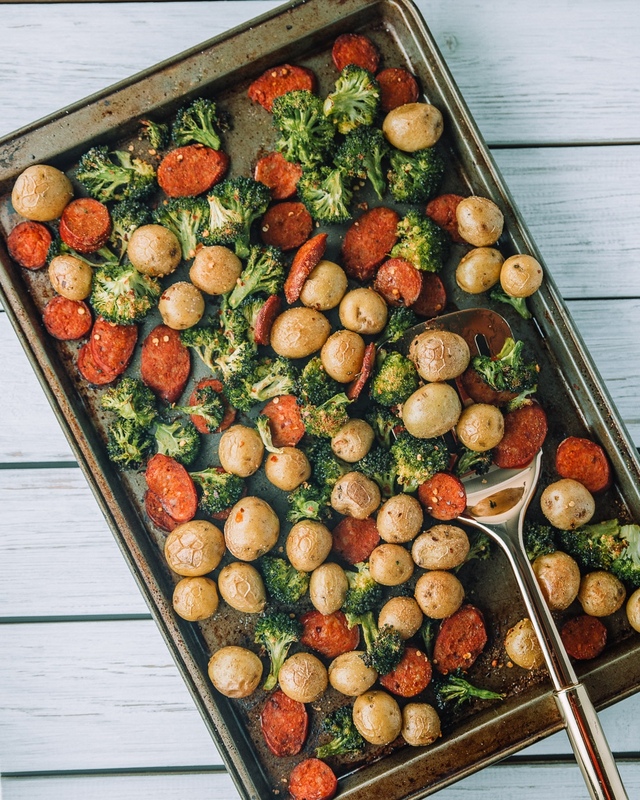 Do you like this sheet pan dinner? If so let me know and also stay up today with my latest posts and everything in between on Instagram for more photos!